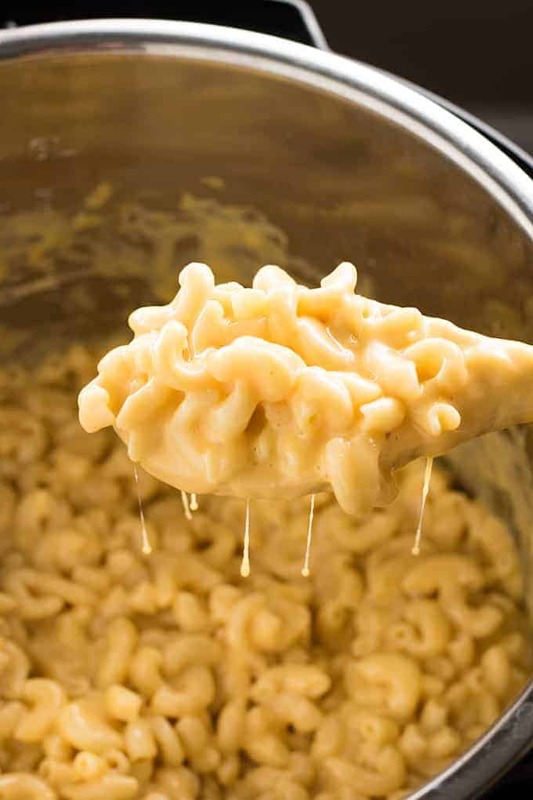 Instant Pot Mac and Cheese – This macaroni and cheese is every family’s favorite comfort food pasta recipe made easy in the Instant Pot! 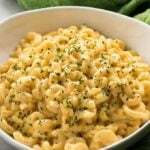 You can have creamy, mouthwatering, homemade mac and cheese for dinner in about 10 minutes! Have I mentioned lately that I’m kind of in love with my Instant Pot? If you have been following me on Instagram you’ll know that I’ve documented my daily trials and errors using the thing. I was so skeptical of even getting one in the first place, and now, it’s pretty much all I want to use for cooking at all! It takes a lot of the in-between steps out of making simple recipes. Like this mac and cheese, the pasta cooks in just enough liquid, with no need to drain! 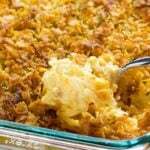 My family absolutely LOVED this macaroni and cheese. Well, I did too. The flavor was absolutely perfect and it was super creamy, just like a good mac should be. 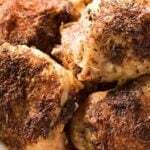 I made this recipe in my 8 quart Instant Pot, and it will definitely work just fine if you have a 6 quart as well. It makes a whole lot by the way. Yay for leftovers! There was enough for my family of four to eat this as a main dish with a side salad for supper. Then, my kids took some for lunch in their thermos to school the next day. Even after that we had enough left to use up as a side dish later in the week! For the best flavor, I recommend using chicken broth as your cooking liquid. I used low sodium chicken broth. If you don’t have low sodium, leave out the extra addition of salt, then salt as needed when serving. Use seasoning! I add salt, pepper, garlic powder, and hot sauce to this before cooking. Don’t worry, the hot sauce does not make this spicy at all. It just adds an additional layer of flavor that’s amazing. Use a combination of cheeses for the best taste. I use a mixture of sharp cheddar, mozzarella. When you add the cheese, make sure to stir continuously so that it all melts in really well and you aren’t left with clumps. Don’t use canned milk. I used regular 2% milk, and I recommend that or whole milk for best results. 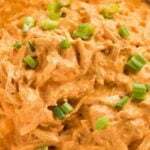 Most of the recipes I saw for Instant Pot mac and cheese used evaporated milk which I am not a fan of at all. 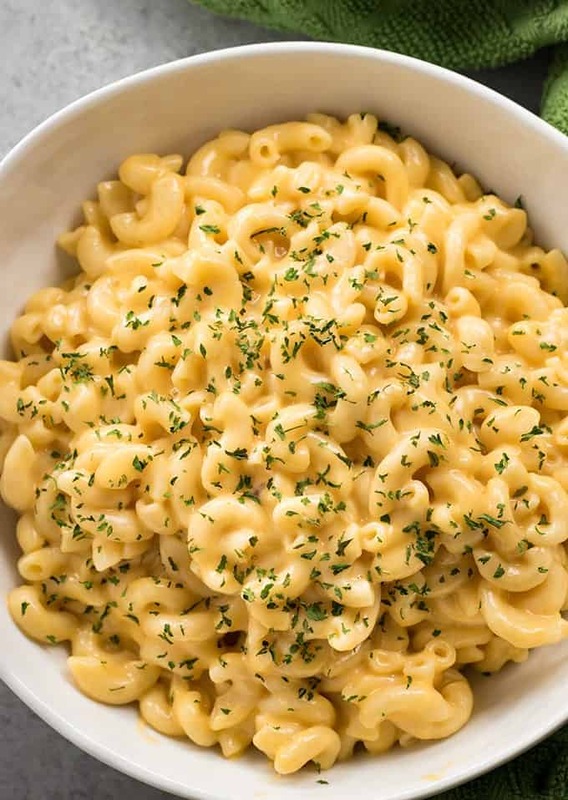 Instant Pot Mac and Cheese - This macaroni and cheese is every family's favorite comfort food pasta recipe made easy in the Instant Pot! 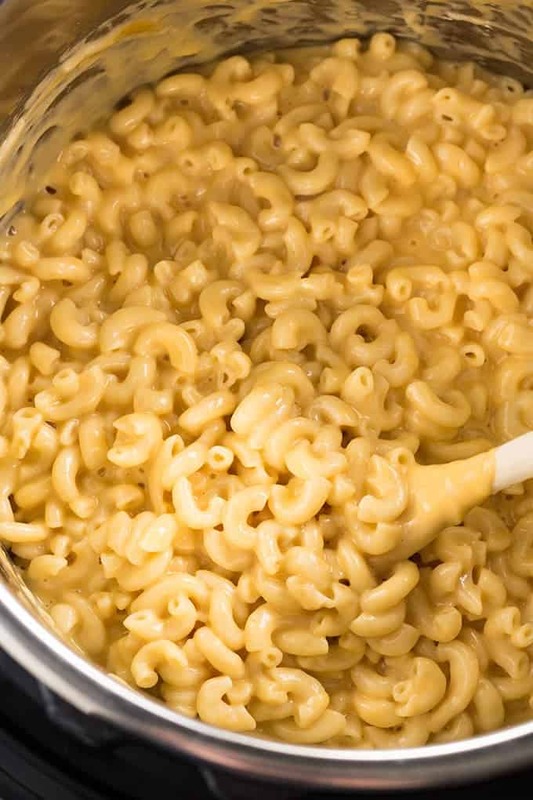 You can have creamy, mouthwatering, homemade mac and cheese for dinner in about 10 minutes! Add the uncooked macaroni, chicken broth, butter, hot sauce, garlic powder, pepper, and salt to the Instant Pot. Place the lid on the pot and set to sealing. Cook on manual function, high pressure for 5 minutes. Then, do a quick release. Stir in the cheeses and milk until smooth. Season as necessary to taste. NOTE: The cheeses listed in the recipe have produced the best flavor that I have found. Feel free to use your family's favorite cheese combination. NOTE: For the milk, start with 1/2 cup and add up to one cup if you find it needs to be thinned out a little bit more. What brand of hot sauce do you use? Also, will the consistency stay nice if you leave it in the instant pot on low or keep warm for a few hours? I use Cholula for almost everything! Sorry I haven’t tried leaving it in the pot for a few hours. Best mac and cheese I’ve ever made. Just the right amount of spices, and oh so creamy. The noodles are cooked perfectly. 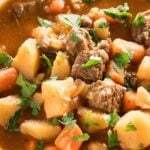 Btw, I used this exact recipe in my 3 quart Instant pot. 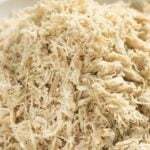 Do you use block cheese and shred it, or buy shredded cheese? 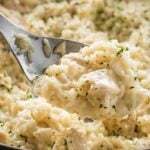 I’ve heard it makes a difference in the consistency and I want it to turn out nice and creamy! Always buy the block and shred your own for best consistency! 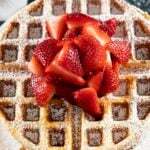 Nichole – Thanks so much for this recipe. I’ve been making several variations of this recipe to dial in what we like best, but it basically works every time. Whatever cheese is handy is what goes in, and that usually works well if I add a bit of extra hot sauce. Can’t recommend Taptio enough for this recipe. Cooking for a crowd. Can this recipe be doubled? Any change in cooking time? I double it every time I make it! It’s a fan favorite in my house! Would you use the same time for the noodles? Awesome! New to insta pot cooking and followed the recipe exactly and everyone loved it! Even my picky eater. Was hoping for a little more leftovers but I’m glad they loved it kept going back for more . Leftovers hahaha! That’s a good one. 3 big boys in the house plus hubby and me. I dream of leftovers. 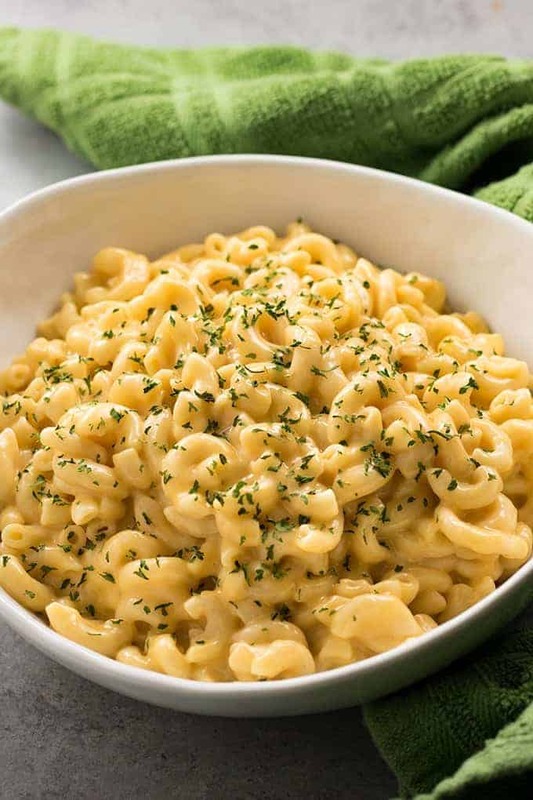 Love this mac and cheese. So simple! So good! I tried adding 5stars but it wasn’t working??? Awesome Mac & cheese!! Successfully made this as written in my Duo Mini today with zero issues. I did let it vent naturally for five minutes after the pressure cycle, then did a slow manual vent just in case the volume was a little too much for the 3 qt pot. No spewing during the vent and had plenty of room to stir all the cheese in. Wanted to share in case anyone else was out there debating whether this would be a disaster in your 3 qt the way I was yesterday. Go for it! Very good and easy! My adult children love it too! What would i do if i want to add bread crumbs to the top? Would i put those on last without cooking?